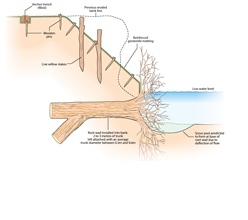 The River Restoration Centre (RRC) Manual of River Restoration Techniques aims to help river managers identify potential restoration techniques for use in river restoration and sustainable river management. 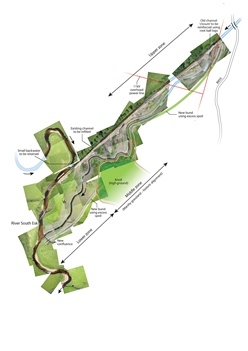 First issued in 1997, it provides detailed examples of innovative and best-practice river restoration techniques, and now includes 64 case examples which can be downloaded as PDFs at 35 sites across the UK, as well as updates on how these techniques have worked. The panel ‘Tabular overview of techniques’ opens a simple list of all case examples with easy access PDF links for users accessing information using mobile devices. Users are encouraged to read the ‘How to use this Manual’ section first to learn more about the resource. Case examples range from large-scale civil engineering projects through to small-scale interventions. They include details of the restoration techniques used illustrated with engineering section drawings, diagrams and photographs. 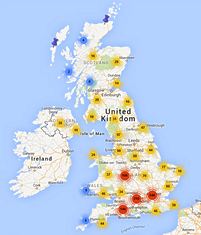 Users can search by river name, site designation, restoration technique or Water Framework Directive (WFD) mitigation measure or use the interactive map. References are also provided. The Manual is now an online-only resource; however the RRC are able to print off hard copies with a small charge for p&p. Alternatively you can download each version of the Manual as one PDF (note: low-resolution only) to inform your project’s design and development. Other aspects of project planning, delivery and evaluation. If you want more information on the advice RRC can provide, please email us at rrc@therrc.co.uk or visit our advice page. Some PDF functionality may not display correctly depending on your web browser. Users are encouraged to open this webpage in the current version of Internet Explorer or Google Chrome. Alternatively download the PDFs to save and view them offline as they appear to display correctly in standard PDF software programs.